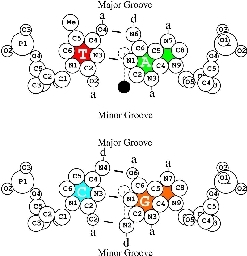 minusten.inst to be used in conjunction with the delila library built from Hanah Margalit's database (Eur J Biochem 1994 Aug 1;223(3):823-30 Determination of common structural features in Escherichia coli promoters by computer analysis. Lisser S, Margalit H). sigmad.inst to be used in conjunction with the complete B. subtilus genome. baseflipcover.ps 993960 bytes This is the original PostScript figure. baseflipcover.pdf 80313 bytes This is the original PostScript figure converted to pdf. 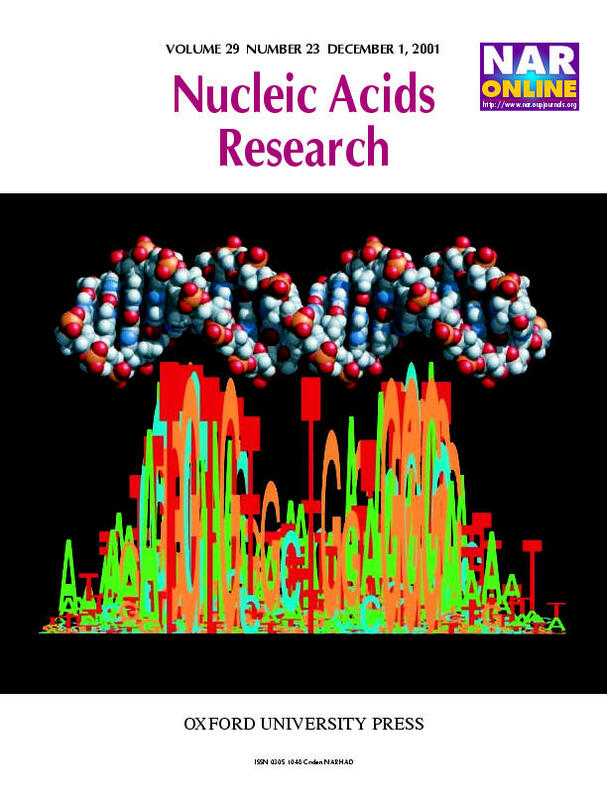 NAR-23.pdf 87110 bytes This is the figure as part of the December 1, 2001 cover of Nucleic Acids Research as a pdf. NAR2001DecCover.jpg 95620 bytes This is the figure as part of the December 1, 2001 cover of Nucleic Acids Research as a jpg. Genome-wide identification of replication origins in yeast by comparative genomics Conrad A. Nieduszynski, Yvonne Knox and Anne D. Donaldson GENES & DEVELOPMENT 20:1874-1879, 2006. They used sequence logos to analyze replication origins. Their results are similar to figure 5D. 2003 Jan 17: The LaTeX source for this paper is available as a template for others who would like to use the powerful free typesetting language LaTeX with Nucleic Acids Research. This is not a complete functional example, as I have not put the bibliography database, style files or figures there. Maybe someday.